The Dickens Festival has become a holiday tradition for many southern Utah families and visitors that usurers in the Christmas season. Held at the Dixie Center every year on the first Saturday in December and the three preceding days. One of the most unique features of this festival is they have had the same Santa Clause every year for the past 20 years. Families have delighted to see their children age while Jolly ol’ St. Nick remains ageless as the first day they visited the toy maker. Some food vendors can only be found during the Dickens Festival. There are over 300 vendors showcasing their crafts and wares and food the only comes around once a year. Every hour there are local musicians, dance companies and singers performing on the various stages. Two highlights of the festival are the one hour musical productions of Oliver and Scrooge. It is free to see the performances once you have paid your entrance to the festival at the main gate. Admission is always reasonable. And even if you are not going with any intention to shop the atmosphere is not something to miss. This year’s re-enactment of 19th Century London will take place in the beautiful Dixie Convention Center in St. George, Utah. The Festival is created to bring you the best selling experience of the year. Delighted guests will wind through narrow village streets as they shop for their gifts. Guests will be amazed to see “Olde London Towne” come to life. Thousands of eager customers will attend and experience our magical holiday festival, then take home wonderful treasures, fond memories, and the spirit of Christmas…. Happy Christmas! December 4-7, 2013 10:00 a.m. to 9:00 p.m. This entry was posted in Area Events, blog, Holiday Events, Shopping!!!! and tagged christmas, Christmas events in St. George, christmas festival, dickens, dickens dixie center, Dickens Festival, Dickens Festival St. George UT, things to do in st. george utah on December 1, 2013 by . Harley-Davidson Motorcycles just 8 miles up the road. We have a full service Harley Davidson Motorcycle shop off exit 16 on the way to Zion National Park. Even if you don’t own a bike it is a great place to check out some AWESOME looking bikes and riding gear. Enroll in the Best Western Ride Rewards program. As a H.O.G. member you’ll be automatically upgraded to Platinum Elite Status, giving you 15% bonus points on every stay. Visit members.hog.com or call 888-BW2BIKE. Click on the photo above to enroll in the H.O.G. This entry was posted in Awards, blog, Outfitters, Shopping!!!! and tagged harley davidson, harley davidson st. george on September 12, 2013 by . Harley-Davidson is a company that marks its anniversaries with pride. 2013 represents the 110th anniversary of H-D production, and the Motor Company will not let the milestone go unrecognized. Ten Harley-Davidson models will be available as 110th Anniversary Editions, with unique serial number plates, Anniversary Vintage Bronze/Anniversary Vintage Black paint (CVO models get Diamond Dust/Obsidian paint), solid bronze commemorative fuel tank badges and anniversary badging and trim. The Anniversary Editions will each be loaded with all available factory-installed options as standard equipment with a premium price of between $665 and $2,495 over the corresponding non-Anniversary models. The local Harley Davidson shop is located only 8 miles up the road just off interstate 15 taking exit 16, on the way to Zion National Park. You will see the sign and building just off to the left. Riders, when you check in at the front desk, we do have buckets and rags available to wipe down your bikes. See you soon! This entry was posted in blog, Outfitters, Shopping!!!! and tagged harley davidson, harley davidson st. george, motorcyle riding utah on September 20, 2012 by . What Women Want is Back!!! This entry was posted in Area Events, blog, Shopping!!!! on May 7, 2012 by . Art on Main Walk, One Block Away! Stroll Main Street Friday, December 9th from 6:00 to 9:00 in the evening, and you will find artistic demonstrations and live music in the fine art galleries of downtown St. George as local creative talent comes together for the December Art On Main art walk. Fine art ranging from Utah artists James Christiansen and David Koch to Southern Utah talents Kate Starling and Jeff Ham to young emerging artists will be on display, as each gallery represents a different collection of fine art. Music will also vary from gallery to gallery. A punch card can also be obtained at the St. George Art Museum, which can be turned in at Twenty-Five Main Cafe for a chance to win a piece of artwork at 9:00 in the evening. For additional information including a downloadable map, please visit StGeorgeArt.com, or call the St. George Art Museum at 435-627-4525. This entry was posted in Area Events, blog, FREE Things To DO, Shopping!!!! on December 6, 2011 by . Not many cities can boast of a commercial complex as convenient and appealing as Ancestor Square. There are food outlets, art galleries, gardens and historic sites with convenient parking. It is right at the crossroads of the City. The development is an example of architecture, entrepreneurship and history nicely interwoven. Ancestor Square along with the Downtown Farmers Market is hosting a “Holiday Shopping Extravaganza!” this SATURDAY, December 10th. Support local businesses and over 20 local Farmers Market vendors by stopping by and doing some Christmas shopping. Visit Bella Donna Boutique, Jake’s Old House (Life is Good. ), Charity Exchange Consignment Company, Ame de la Vie Boutique (NEW), Lunatic Fringe Salon, five art galleries – Split Rock Fine Art, the Mission Gallery, Bedard Fine Art (NEW) & Twiggs & Moore. Enjoy a bite at Benja Thai, the Painted Pony or Pizza & Pasta Factory! And don’t forget that Gift Cards make great gifts, too! Enjoy the Christmas lights, live music and carolers, hot chocolate, hot cider and other tasty treats! See you there! This entry was posted in blog, Shopping!!!! on December 3, 2011 by . The BIGGEST expo in Southern Utah…Starts This Friday! This year’s What Women Want Expo will be Friday, October 21st from 10am-8pm and Saturday, October 22nd from 10am-6pm. Tickets are $5 at the gate or you can buy 2 for $5 till Thursday 20th at the Spectrum Newspaper office on the St. George Blvd. Over 200 booth spaces and vendors, Cooking Classes, Free Mammograms, Fitness Experts, Huge Hourly Drawings. For more information go to www.wahtwomenwantexpo.com or call 435.674.6200. Located at the Dixie Center, minutes away from Best Western Coral Hills one of best hotels in St. George! This entry was posted in blog, Shopping!!!! on October 19, 2011 by . Come and learn about Emergency Preparedness and what you can do to help make a difference. 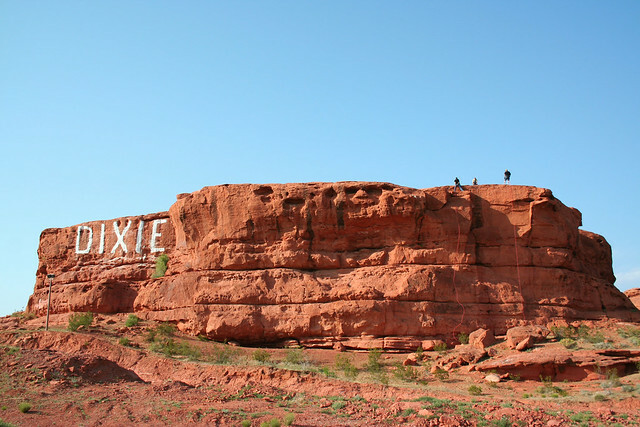 On September 10th at the Dixie Center in Saint George, Utah will hold its annual expo. This years Preparedness Expo will present training about 72 hour kits, solar kits, earthquake preparedness, and (12) other breakout sessions. The Expo is open to the public and it is FREE!! Seating is limited, register at the URL address below. This entry was posted in Area Events, blog, Shopping!!!! on September 6, 2011 by .